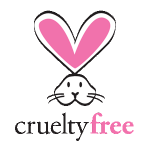 Home / Beauty Products / Why Choose Gluten Free Beauty Products? Why Choose Gluten Free Beauty Products? If you have celiac disease or are gluten sensitive do you need to avoid beauty products with gluten? Probably the safest answer is YES! It’s true that skin care products (such as moisturizers) that you use on your skin but don’t ingest shouldn’t in theory be an issue, however, our skin does absorb everything we put on it, so why take the risk? And let’s not forget the fact that there is always the possibility of accidentally ingesting just a little bit. How can that happen? Well, what if you use a facial cleanser and while rinsing off you accidentally get a little in your mouth. The same with a shampoo or conditioner. Or what about the possibility of using a hand cream that gets under your fingernails and then you pick up something to eat? At the top of the list – avoid gluten-containing lip care products because you ingest some each time you use them. You might want to try in Harmony’s gluten free lip balm and vegan lip glosses. Never use a gluten containing product anywhere near your mouth. Skip powders that contain gluten, since they can become airborne (inhaling gluten is a problem!) We recommend in Harmony’s line of mineral makeup. All of these products are 100% mineral based. There are no fillers, no harmful ingredients, only pure organic ingredients so it’s OK if they are accidentally ingested. Wash your hands thoroughly, including under your nails (especially if you bite them!) every time you touch a gluten-containing product. Make sure you don’t rub your face or skin and then touch your lips if you do choose to use a gluten-containing product.